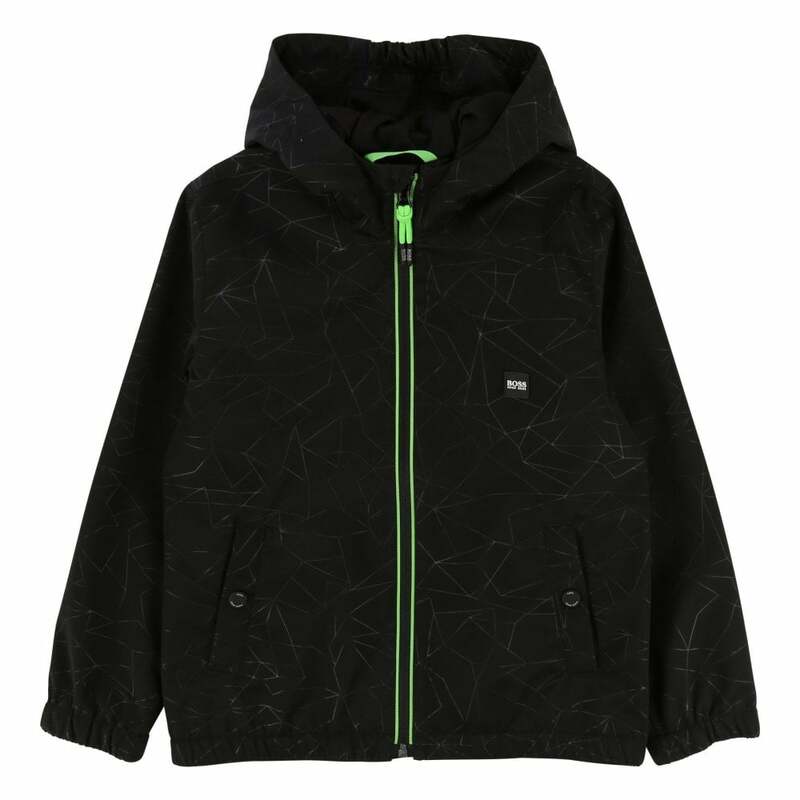 This Boss Windbreaker Jacket is a coated polyester shell and is black in colour with geometric print detail. It has a hood with a contrast blue lining and has long sleeves and press stud pockets at the front. It has an elasticated hem and sleeve cuff. Boss branding appears on a patch on the left chest.